Now I’m a bit annoyed and disappointed as ideally I need to be predicted at least AAA to have my application for Medicine considered so I guess I will need to look into it, I should be able to make an application to my first choice university luckily. But I do understand why she feels that way as no one in our class has like really demonstrated to her that they can get an A, even the person who is like a super genius and got straight As in their other subjects came out with a B in January. *Also she informed me that if you have resat any exams you are not eligible for the A* grade, so that means the highest grade I can get in Chemistry and Human Biology is an A but as I have not done any resits for Sociology (hopefully anyway!) and my January mark being 98% (you need 90% in A2 to get the A* grade) I could get an A* in it providing I work hard at it. She was surprisingly more supportive of my intention of apply for Medicine than I had expected her to be so this was a good thing, but also I said that I need to be realistic about where I apply; I am determined to study Medicine whichever way possible whether direct or the graduate entry way. My GCSEs are not good as I was in hospital during some of my exams and all the time in hospital during year 10 and year 11 was disruptive with my grades dropping from the mixture of A*-B grades I was expected to get. So anyway there are a few medical schools I could apply to but because of various factors I need to be close to home and my preferred university is one which is suitable for me distance, course structure and grades wise. Because of this, I’ve decided that even if I apply to these universities and got an offer of a place to study there I doubt I could take it up due to the distance of some of these apart from the my preferred one which is only 35 minutes away by road. So this means I am strongly considering either to just apply to 2 or 3 medicine courses and some other degree courses such as Virology as my 4th and 5th choice on my application or just putting all my eggs in one basket and apply to my preferred university only to study Medicine. Anyway to the point, I have decided to go ahead with application for Medicine, and will be doing various bits of voluntary work and hopefully work experience in a hospital. This will help me write my personal statement for my application as right now I really have no idea what to write and the deadline is 15th October. A big area of a bacteria growth on one of the samples. Counting up all the areas the bacteria has grown. 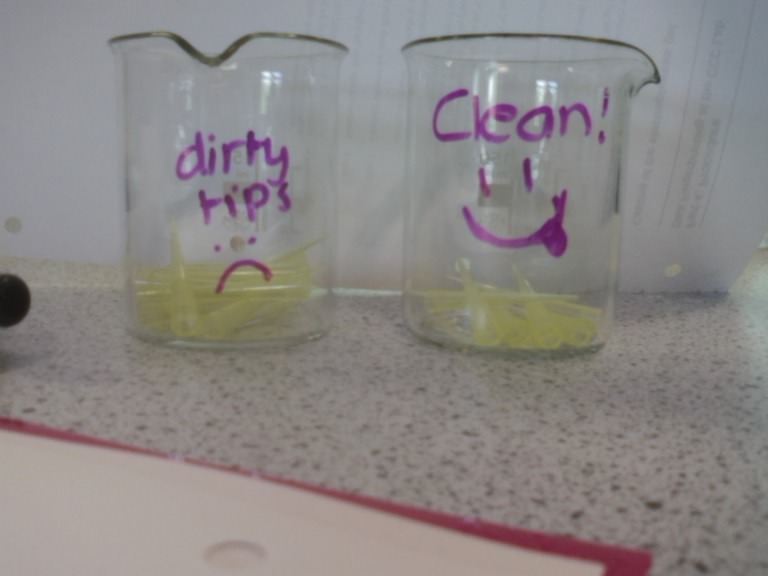 Then on Tuesday (22/06) we did another practical where there had been a fictional crime and we had been given different samples of ‘DNA’ which we had to test to see which suspect is most likely to have commited the crime. It was quite a small experiment as the sample sizes are so small we had to use special pipettes to take the DNA samples and put them in tiny test tubes, heated, which we then mixed with a dye. We did the same with the sample found at the “crime scene”. 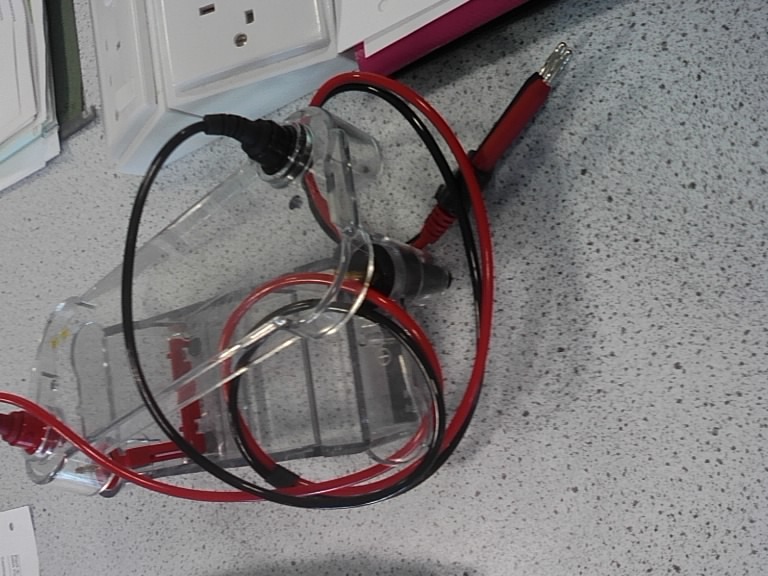 We then had to set a type of gel into this electrical thingy and put grates into it and then put a bit of each sample into the grates and turn the electrical thingy on. We haven’t quite finished it so I don’t know what will happen but when we left it the dye was moving from the grates along the set gel. So I guess whichever dye stops at the same place as the DNA found at the crime scene, that will be the suspect most likely to have commited the fictional crime. It was quite interesting and it was good to see science is applied in different ways besides the usual things like medicine etc. 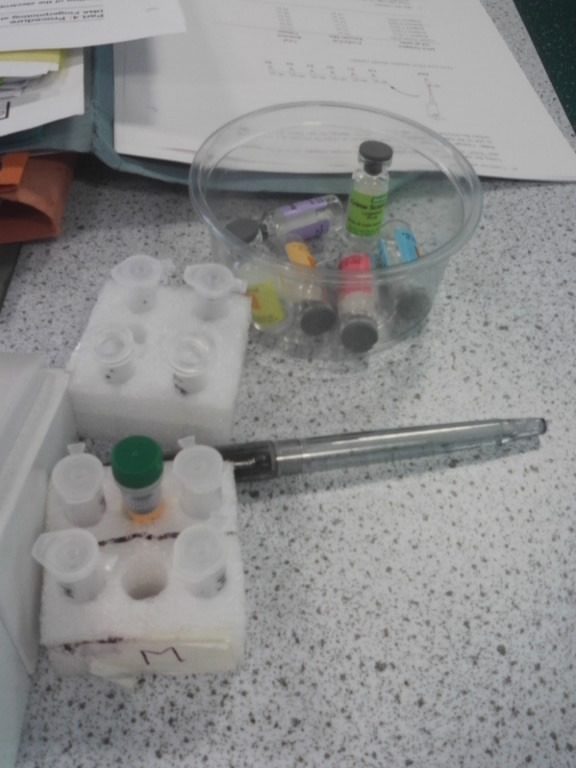 The little coloured vials contain the DNA samples we had to extract and put into mini test tubes added to dye. The separate beakers for the different pipette tips to prevent contamination of samples. So this week I was meant to start A2 lessons instead of starting in September… except it seems it’s going to be starting in September as this week has been on the whole pointless at college. Tuesday’s (15/06) Human Biology lesson was cancelled so we started on Friday (18/06) only to be told we would be doing practical skills etc in preparation for A2. We did a practical where we test the quality of water from various beaches (except there aren’t any beaches where I live!) and I found it quite stressful because it was all about using Aseptic Technique because we had to do everything in a very sterile way because we were trying to find the amount of bacteria in each sample. We had to transfer samples using a pipette and pipette filler which I find very difficult despite having to use these in Chemistry as they enable a precise amount of a substance to be measured up but it’s difficult to get it to the line on the pipette as well as the problem of air bubbles or actually breaking the pipette. As well as ensuring all the surfaces are regularly disinfected, washing hands and changing gloves regularly which was irritating my Eczema. 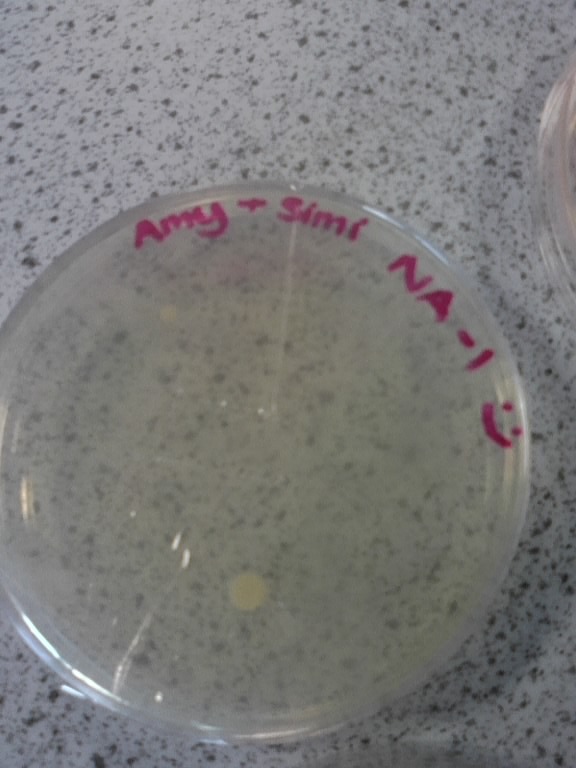 And I messed up the bit where we had to fill the agar plates with the samples as my hands were really shaky and I spilt it so that means one of my results won’t be as accurate grrr. 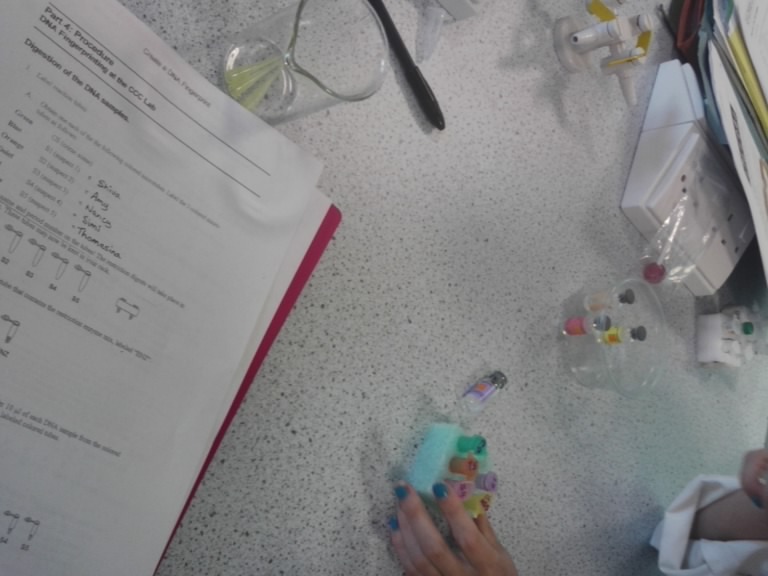 Wednesday’s (16/06) Chemistry lesson got cancelled and we were told that we would not be starting A2 till September and will be doing experiments until we finish in July. On Friday (18/06) we did a practical and to be honest I felt a bit lost and nearly made an apparently dangerous mistake. We were meant to add a drop of a substance to another solution drop by drop and maintain the temperature below 10°C and I was a bit unsure at the time what to do as I was feeling a bit frazzled from a wheezy coughyness episode after inhaling some fumes of one of the substances. Anyway I add more than a few drops than I should have and my solution’s temperature rapidly rises and I don’t have enough ice in my beaker to cool it down and everyone says that that could potentially be explosive… oops? I manage to rescue it by rapidly cooling it by finding a big box of ice and then start tediously adding drop by drop and eventually finish that part then I had to desiccate my solution by filtrating it and collecting the solid powdery type substance and phew! I put it on the trolley and went home I was so tired on Friday because the two experiments were more challenging than I had expected, I thought we would be just going over AS practicals for practice. During Chemistry our teacher was asking everyone what they are planning to apply to study at university; when I said I wanted to do Medicine it felt like he was trying to put me off it by saying everyone who applies for Medicine has at least 5 A Levels at grade A etc and said that he thinks it would be very difficult for people from my college to get a place at medical school, but my other friend who wants to do Medicine or Maths it felt like he wasn’t as negative about her despite my grades being much better so far than her’s so that’s a bit hmmm. I think it’s because I’m not a very outwardly confident person and I’m quite hesitant when I volunteer answers etc in class but my friend is very outgoing and comes across as a very intelligent person and it’s not that she isn’t but it seems like he’s been judging us by our covers and I felt a bit gutted and unsure. I know I want to study Medicine and be a doctor more than anything, but I’m so fed up some people of not having faith in me, some people do but it feels like the people who are meant to have faith in me, don’t. I’m still feeling so tired; I had a nap from 2pm till 6pm yesterday and still didn’t feel any less tired, maybe it will take time? It’s not like me, so I’m not sure if something is wrong. Warning: this entry contains a lot of whining and rambling. I’ve been thinking a lot about some things lately. I’ve been feeling quite agitated and I’ve put it down to stress of exams and being unwell but I think there are other things playing on my mind. It’s so easy for me to put on a happy face and pretend everything is okay when it’s not okay at all, I have a role to play it seems to be the happy smiley one, but I feel frustrated and fed up and I can’t pin point it on any one particular thing, I think one of these things is guilt. I feel guilty because I feel I could be a better carer to my mum and it isn’t me being self-deprecating, I have been feeling so tired lately that I haven’t in my own opinion been looking after her so well and I’m not sure exactly what I can do to sort it out. It is a vicious circle because mum isn’t going to get completely better, sometimes she is better than usual other times a lot worse than usual, I don’t know what to do for the best. Secondly I feel guilty because I haven’t been a very good friend lately. I don’t think I have been there for them all as much, I have become too cynical and it’s not like me, I have made mistakes. I don’t like being this way. This isn’t who I am meant to be and I think I need to re evaluate things. I’m a strong believer in Karma and I don’t feel like I’ve been a ‘good’ person lately, there is a difference between a good and a nice person, I need to be more altruistic and just basically be a better person. I feel very stressed, upset and sometimes don’t feel anything at all and just feel like I am going through the motions of things. Everything feels hard right now. If someone asks how I am, I say I’m OK because I can’t explain all the complicated stuff going on in my mind. People say a problem shared is a problem halved so sharing it on my blog I hope this helps a little. I am surprised I have kept this blog and update it as often as I do as I have never really been one to write things in diaries etc. I’m trying to take naps and I’m trying to eat meals but just have no appetite lately as I just have this knotted up feeling. I started A2 Sociology today, we began Crime and Deviance, and it wasn’t very interesting today as it was the beginning of laying the foundation principles of it. I can already tell the workload is going to increase and I am struggling to keep up with some aspects of it but I’m going to try and make an effort to get things I’m uncertain about clarified. It was only a morning of lessons but I am feeling so tired and unmotivated. I start A2 Human Biology tomorrow and A2 Chemistry on Wednesday, I am feeling quite apprehensive. So that ends my rambling moany post and I hope my next blog entry will be more positive. I finished my summer exams on Tuesday (08/06)! It feels really weird at the moment because my life for at least the past month or so has just been revision, revision, revision and now it is a bit of a shock because I don’t really know what to do with myself. I said I would catch up on some sleep but that hasn’t really happened yet because I am not used to it. I go back to college on 14th June to begin progression to A2, the second half of the A Levels course, so I have a few days free now. Last week was meant to be half term break but it well wasn’t as it was the week before 3 of my exams so I was attending revision classes, revising at home or otherwise getting very panicked and stressed. I am a bit surprised at how stressed I got over my exams; it affected my asthma, lack of appetite, I was snapping easily, had headaches etc basically pretty much textbook stress. On Monday (07/06) I had my Chemistry exam which was worth 50% of my grade for this year… so no pressure then! The day before I had spent most of the day revising for the exam and had only a couple of breaks to eat dinner for example. I went to bed at 1am but didn’t sleep really all night; I was restless and kept thinking about Chemistry things like mechanisms, definitions and theory. Pretty much on the hour I was opening my eyes to look at the clock, I got up early and began revising again and totally had the knotted up feeling in the bottom of my stomach about the exam and went to college. The paper was an hour and 45 minutes, my second longest paper this summer. It was a paper that I felt had a couple of bits which I didn’t like but I liked the longer questions but I messed up on the question with a lot of maths in it which also cut into the time I had left to complete the exam as I spent so long struggling on it, so I attempted all the questions and to be honest I am just glad it is out of the way, it wasn’t a totally awful paper and it wasn’t in some ways as bad as I thought it would be but all the same it was a hard paper. I go to town to pick up some meds and fall asleep on the bus so I head into a coffee shop and get some coffee to try to wake up then I headed home which was a bit eventful in itself. Get home and basically crammed revision all night for the 2 exams the next day, I was planning to revise till 2 or 3 in the morning but at 11.55 I like just seemed to have ran out of energy it seems and I zonked out on my revision stuff so admitted defeat for the time being and went to bed deciding to wake up at 6am and revise some more. Dreaded Tuesday (08/06), I wake up at about 6.30; didn’t sleep so well but still at least I did sleep. I start doing some revision and exchange texts with a friend about how much we’re panicking and more or less end up spending more time texting than revising but I managed to read through my short Sociology revision notes and look through my Human Biology book deciding I would look through my notes in between the exams. I leave to go college it is raining lots meet up with my friend and decide to have a quick last minute bit of Human Biology revision before the exam although I wasn’t take that exam till the afternoon as both exams were scheduled for the same time, I took Sociology in the morning. So I go to the room I usually go to for my exams turned out I’m on the next floor up so I take the stairs…this was bad idea. I get rather wheezy and needed to have a neb before starting the exam, the paper was ok but one of the essay questions threw me a bit, it was about Marketisation of Education and there aren’t really any studies or people to relate it to so I just basically wrote down everything I knew about it. Exam finishes and I’m taken down to the room with other people who also had exam clashes turned out that they were my friends so this was good got some lunch and had a chat about the exam, then did a bit of Human Biology revision. I went back to same room again and did the paper which I quite honestly think could have been a lot worse than it was, there was only one or 2 questions which I was stumped on but I attempted everything so that’s something I guess. So exams over! Although I am happy the exams are over it is also scary in that there’s nothing I can do now and will have to wait until August to see how I did in the exams. I have kind of been neglecting my asthma a bit because of the pollen, exams and stress it is causing, I am using a lot of reliever inhaler and nebs and I know things aren’t great at the moment chest-wise but could obviously be a lot worse. I am staying out of hospital so this is a great positive. I also seem to maybe have a chest infection so the sensible thing to do would be to go back to the doctors but I just feel so… tired and don’t have the motivation at the moment – it seems like I’d rather struggle a bit which is completely stupid but I guess I will eventually go and get checked over.